Raising kids can be a source of stress for many parents, as you explore an unknown with few black and white decisions. It’s entirely natural to feel a bit overwhelmed by the process, particularly when considering the physical and mental health of your children. No one can provide a roadmap to no-fail, successful parenting for each and every family, however a wellspring of parenting advice is available throughout the internet if you only know where to look. Any of the blogs on this list will serve as an excellent source for any parent who is doing their best to raise healthy kids. 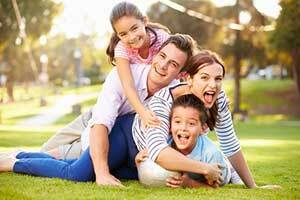 These resources can serve as excellent inspiration for parents looking to learn more about how to manage all the daily challenges encountered in the quest to be the best parents possible. Super Healthy Kids is a blog that provides delicious recipes for all types of meals that kids will actually enjoy eating. The difference is that instead of being loaded with sugar and fats, the recipes on the Super Healthy Kids blog are made with healthy and nutritious ingredients that provide all of the nutrients that a growing kid needs. The Healthy Child Healthy World blog is part of a larger network managed by the Environmental Working Group – an organization that aims to improve the health of the planet and its citizens. On the blog, postings tend to report on scientific studies, current events and news that are highly relevant to the raising of healthy children. Rather than simply presenting opinions, the blog roots its postings in solid sources. It is recommended for that reason. Science of Parenthood relies on basic scientific and mathematical explanations to help readers navigate the muddy waters of parenting. The blog is also hilarious, and should give most parents some much needed chuckles in addition to some very useful parenting information. The blog has also spawned several books which are all worth checking out if you enjoy the material on the website. Dadmissions is highly recommended for readers who are hoping to get a taste of parenting from a father’s point of view. The majority of the blogs that you will find when searching for sites focussing on parenting are going to be written from the point of view of a mother. For fathers looking for some stories from their perspective, or for mothers wondering how things might look from the other side of the parenting table, Dadmissions is an excellent parenting blog to visit. Another food blog, Veggies Don’t Bite is focussed on the nemesis of many children over the years – vegetables! The author of the site has compiled a huge list of recipes that are plant-based, gluten free and sugar free. There is a special section of the blog devoted just to babies and kids. This is a great place to visit if you’re looking for some delicious and creative ways to work more veggies into your little one’s diets. This child psychology and parenting blog might not have a catchy name or the humor of some of the other recommendations, but it is very informative. It is authored collectively by three licensed clinical psychologists, which means it is full of well researched and practical information regarding the psychological well being of your children. 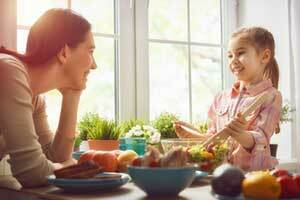 Raising healthy kids is about more than just attending to their physical health. This blog provides tips on general psychological issues important to kids, such as helping them to manage their anger. It also touches on topics which may be important to parents dealing with children facing challenges such as ADHD. Inside Parenting is another blog looking at the psychological side of parenting. This particular blog is from the team behind Psychology Today. Some people find reading or implementing highly clinical and scientific advice challenging. Inside Parenting provides lots of parenting advice and insight rooted in sound psychological principles, but presented in an easily readable and accessible manner. Another important aspect to raising healthy kids is of course their physical fitness. Jump Bunch is a blog focussed on sports and fitness for kids. The organization discusses the physical benefits that kids gain from exercise and sports, but also the other ways that these activities can better their lives. For instance, one excellent post discusses how through sport and physical activity, kids can learn the value of failure, and how to bounce back and keep working at something until they improve. This is a pretty comprehensive blog. It’s worth taking the time to dig down into all corners of the site to get advice that touches on most aspects of parenting. Not every piece of advice from every blog is applicable to everyone. Instead these blogs provide a useful jumping off point to start delving into the wisdom that others have assembled regarding the raising of healthy kids. With a little browsing, readers should be able to find blogs that provide good advice while fitting within their parenting goals and principles.